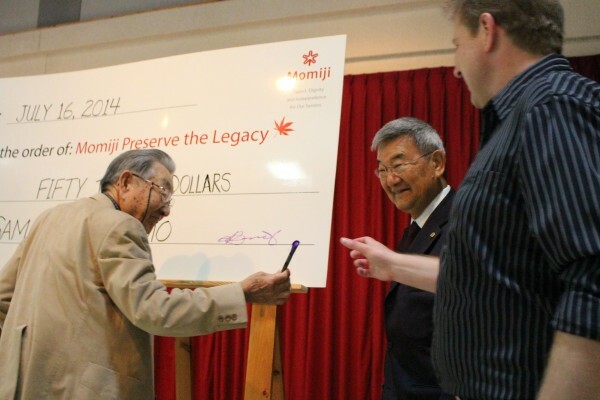 The Momiji Health Care Society honoured four very generous donors on Wednesday, who gave a combined total of $185,000 towards the Preserve the Legacy Campaign. 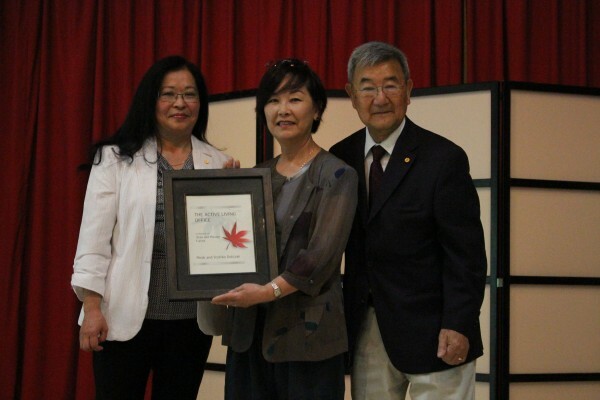 Alex Yanoshita led the charge, donating $100,000 to the three year-old campaign that has a goal of raising $2 million to help preserve the Momiji Community Centre that primarily serves senior Japanese Canadians at the Momiji elderly citizens home. The Momiji Health Care Society has now raised just over $1.7 million in pledges and donations according to Pam Waintraub, the chair. 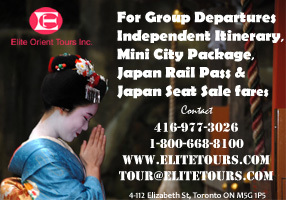 Momiji is seeking donations because they’re looking to renovate and upgrade the building, while having enough funding to maintain the community centre that was built with donations and receives no government funding. Waintraub said she’s amazed looking back at how far the campaign has come. “At the time, the goal seemed huge and nearly impossible, but we believed that we could gather the goodwill and generosity of Momiji’s extended families,” she said. Yonoshita signed the $100,000 cheque on stage before unveiling the boardroom that’s now named after him. Next to be recognized was Sam Kamo, the donor of $50,000. Kamo is a Nisei who grew up in British Columbia. At the age of 18, his family’s farm was confiscated and sold by the Canadian government. He moved to Toronto in 1943, and within two days, he got a job loading and washing cars. He eventually got a job at a war plant during World War Two. 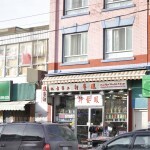 In 1949, he founded Kamo S & Co. Ltd., a construction firm that has now been open for 65 years. With the crowd clapping, Kamo walked on stage, signed the giant cheque and then said, “I’m not much of a speaker. Thank you,” before taking a quick photo op. The third donor who was brought on stage was Yoshiko Dutczak, a Momiji board member who gave $10,000 to the campaign. 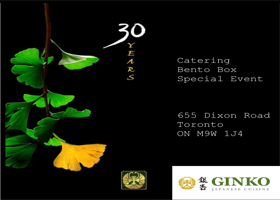 She’s a Japanese Canadian who set up and managed three restaurants. She now works as a translator on a contract basis. 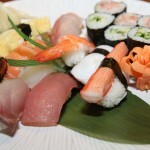 “For the past two decades, Momiji has been everything good about Japanese Canadian culture,” Dutczak said. The final donor recognized was Janice Fukakusa, who’s the Chief Administrative Officer and Chief Financial Officer at the Royal Bank of Canada, who along with Greg Belbeck, donated $25,000. They were unable to attend the event. After the onstage recognition, there was a lunch provided for all of the donors, their guests, and everyone in attendance, including the Deputy Consul General, Tetsuya Yoshimoto and his wife Takako. Lastly, all of the donors unveiled signs in the Momiji Centre that are now named in their honour. 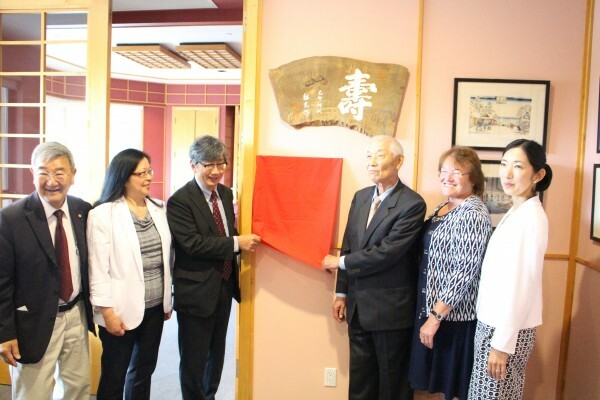 Featured image: (Left to right) Sid Ikeda, Pam Waintraub, Deputy Consul General Yoshimoto, Jannette Long and Takako Yoshimoto smile moments before the unveiling of the board room that’s now named after Alex Yanoshita. Photo: Sam Kamo signs the $50,000 cheque with Sid Ikeda smiling in the background. Photo: Yoshiko Dutczak accepts her plaque honouring her $10,000 donation towards the Preserve the Legacy Campaign.